College Graduation Tassels provide the perfect accent to any College Graduation Regalia. Tassels may also be used as a souvenir keepsake of the immensely important college graduation ceremony. 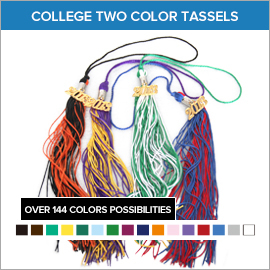 Our extensive selection College Graduation Tassels incorporates a wide variety of outstanding accessories like the One Color, Two Color and Three Color College Graduation Tassels along with the Three-Color Custom College Graduation Tassels. 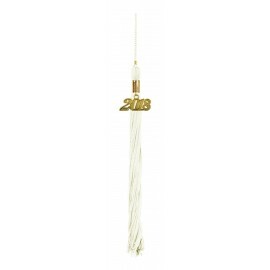 We've got all your graduation needs covered. 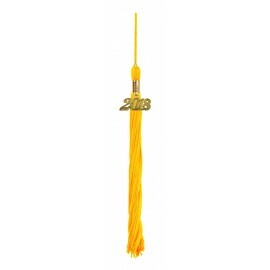 Every Gradshop.com college graduation tassel is carefully manufactured using highly durable poly/rayon material to ensure quality and comfort. 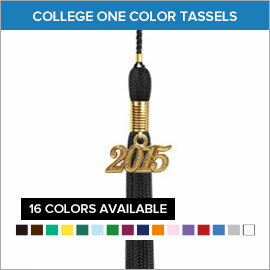 They even come with the current year charm as a standard feature. The college graduation tassel adds the perfect touch to any college graduation regalia. 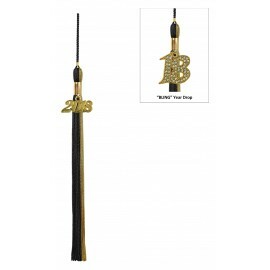 Read below for more information on these great graduation pieces!